Durham cathedral is described as “the finest and most complete of all the Norman cathedrals surviving in Britain” (Tatton-Brown, 1989). The location of the building is high above the River Wear making its magnificent setting very striking. Bishop William of St Calais decided to build a new cathedral in 1092 resulting in the complete demolition of the existing church on the site which had been built almost a century before. 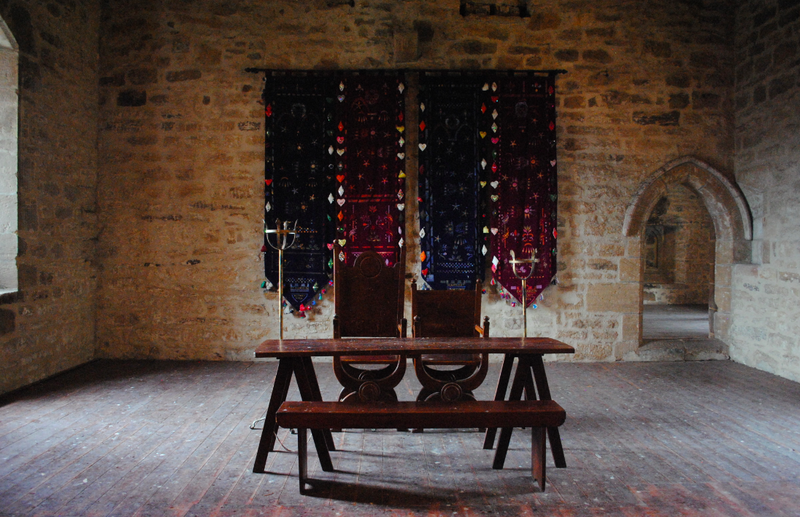 The first foundation trenches for the new church were dug on 29th July 1093, in the presence of the bishop and the prior, and on 11 August the first stones were ceremoniously laid. When Bishop William died in 1096 the monks carried on the building work and after Rannulf Flambard was made bishop in 1099, the church was “made as far as the nave” (Chronicle of Simeon of Durham, c1104-1108). The coffin of St Cuthbert was moved to its new resting place within the eastern apse on 29th August 1104 and the 12th century English historian William of Malmesbury tells us that “there was a premature but harmless collapse of the centring upon which the vault over the east end was erected.” The walls of the nave were complete “up to the covering” (Chronicle of Simeon of Durham, c1104-1108) when Bishop Flambard died in 1128 and work was completed during the course of the next five years. 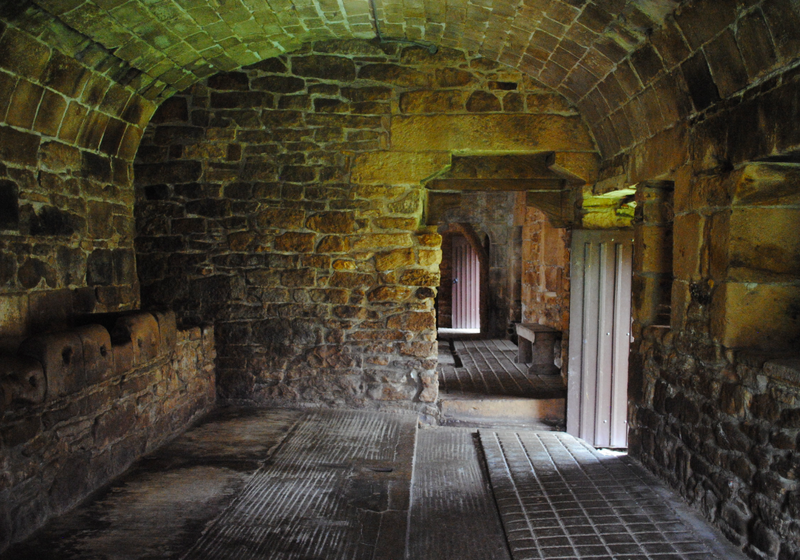 It is thought likely that Durham was the first great cathedral in Europe to be vaulted throughout and the spectacular structure was constructed within a period of forty years ((Tatton-Brown, 1989). The plan of Durham cathedral is uniform throughout and is based on the plan of Lanfranc’s cathedral at Canterbury some twenty years earlier. 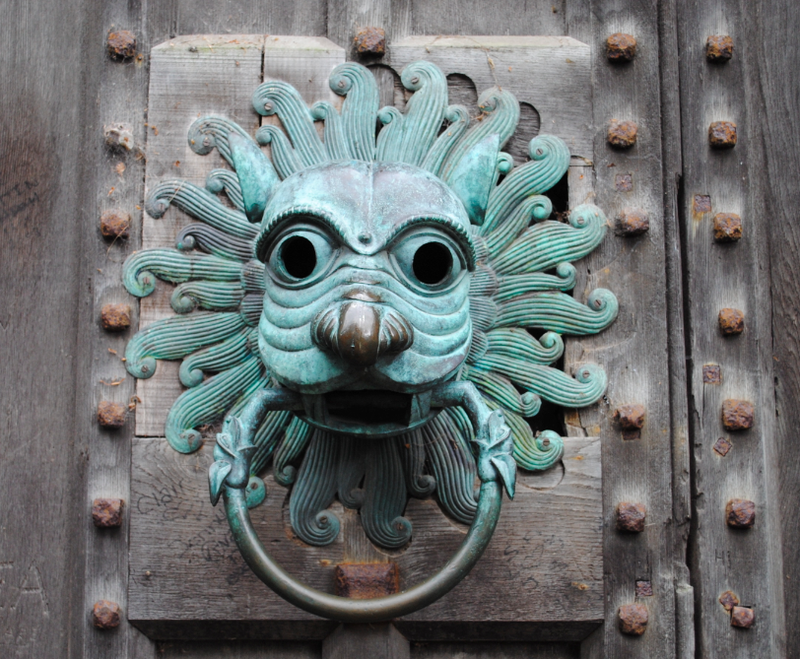 The technological high point of English Romanesque architecture was fully embodied at Durham. 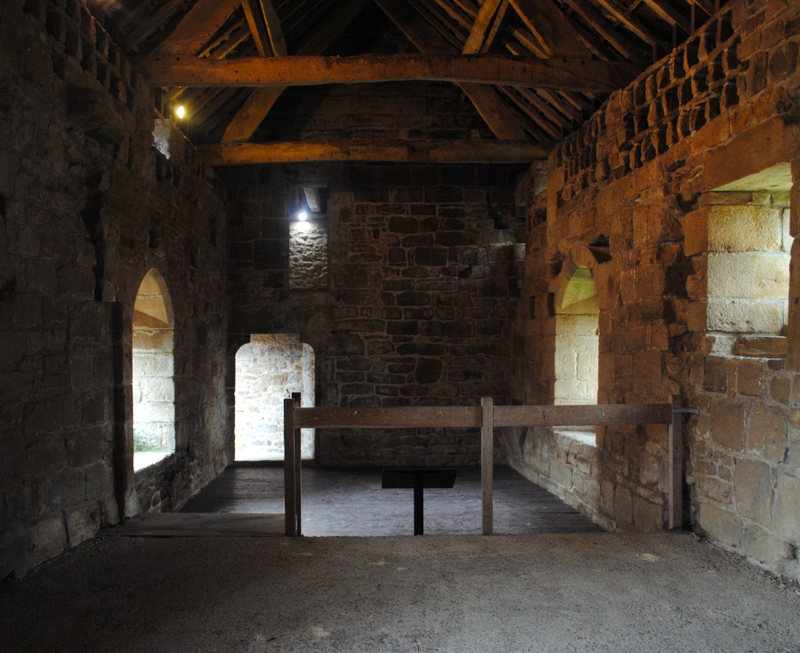 At a time when many new ideas were reaching north west Europe from the east, and following the period of the First Crusade, the masons skilfully introduced remarkable innovations. With the introduction of new building techniques, the massive solid early Norman structures were gradually enhanced with much more decorated and beautiful buildings of the High Romanesque architecture of the 12th century. Benedictine cathedral monasticism drew to a close at the beginning of the 12th century and was followed by the Cistercians who started to build churches in a very different way. Needless to say, the materials that a building is constructed from will play an important part in its visual impact. Durham cathedral is constructed of dressed sandstone and as Clifton-Taylor (1983) notes, a building of stone “has something of the monument about it.” The Conquest effected a revolution in English stone building when the Norman prelates required enormous churches and the stonemasons of the Middle Ages were among the best paid and most highly regarded of all workers. 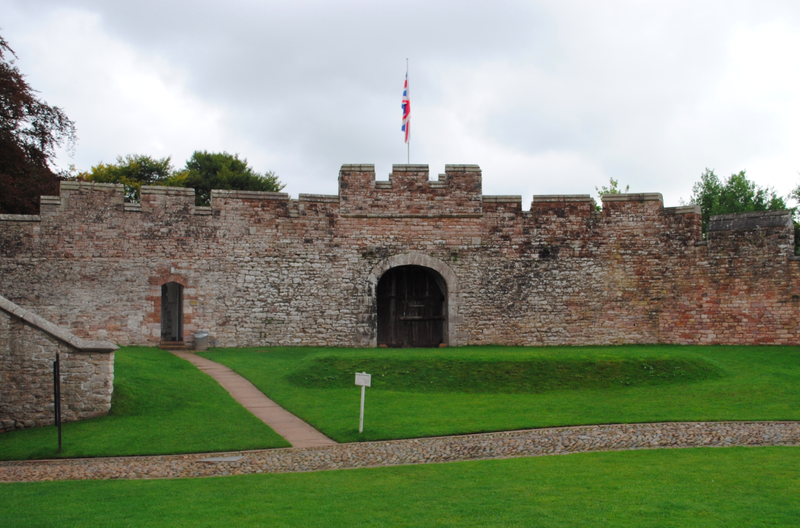 These trained craftsmen were needed in huge numbers during an incredible age for building and with many of the finest cathedrals and castles dating to the Norman period, numerous masons were Norman French arriving in England to undertake the vast scale of architectural work of the period. 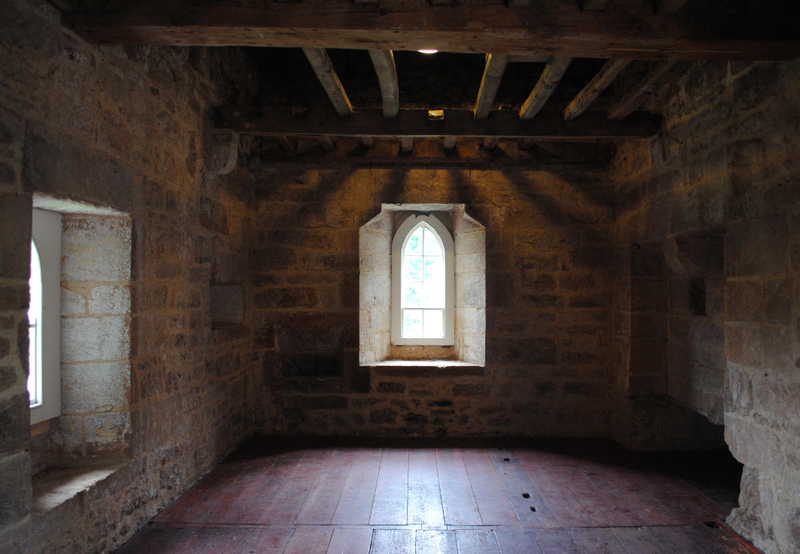 Many architectural terms are of French origin and are a direct result of the introduction of the Norman stonemasons’ words. 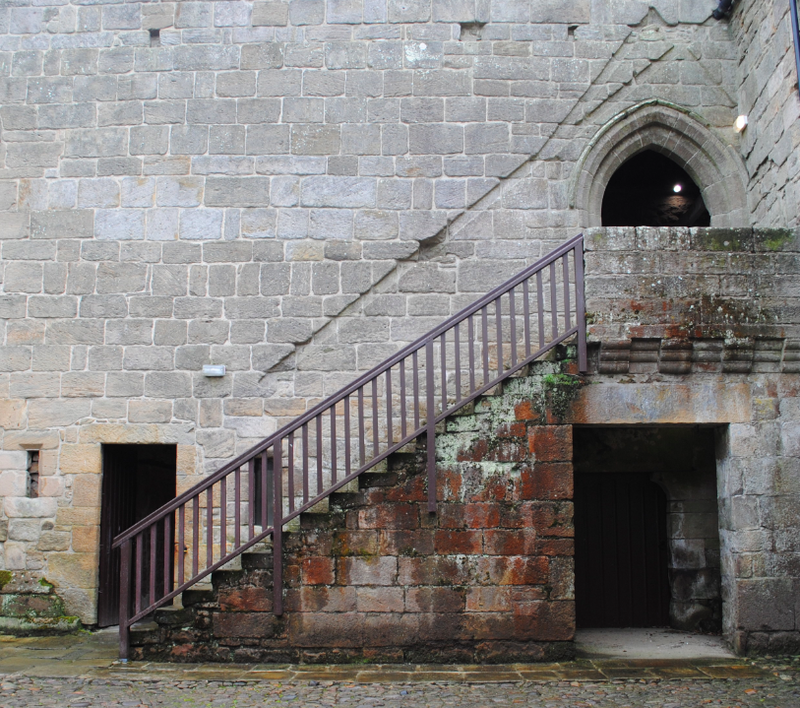 The standardization of building units is of Norman influence and the glorious art and architecture of the 700 years that followed was equally met by the craftsmanship of the stonemasons. The master mason was for many centuries considered the key figure of building construction. Supervising the works and often assuming the role of architect before architecture became a separate profession, the master masons were under direct control of the Crown, the church and high dignitaries. They were responsible for overseeing the quarrying of the stone, arranging transportation to site, preparing full scale layouts (drawings) and working the building stone entirely by hand (Clifton-Taylor, 1983). 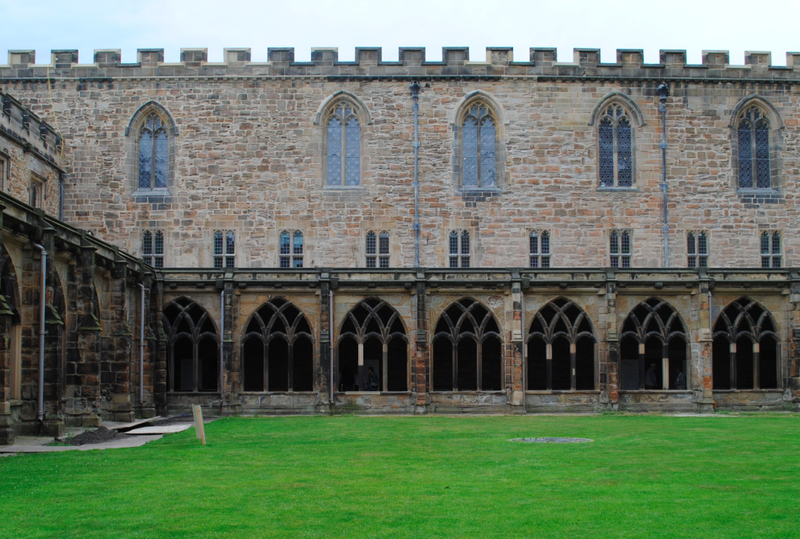 On the south side of Durham Cathedral is the cloister. 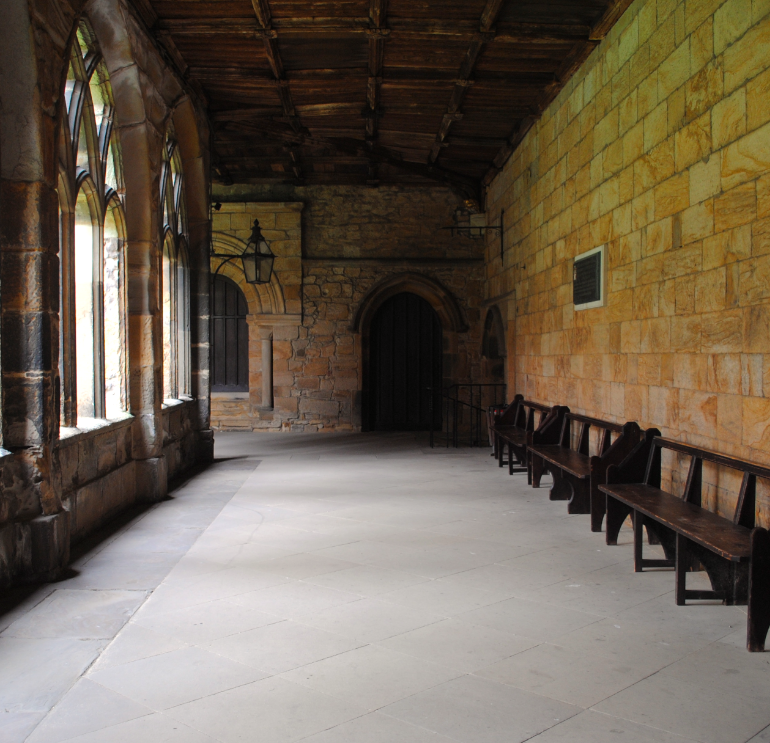 From the Latin ‘claustrum’, meaning enclosed space, the word cloister generally refers to the covered ambulatory around a monastery or college quadrangle. 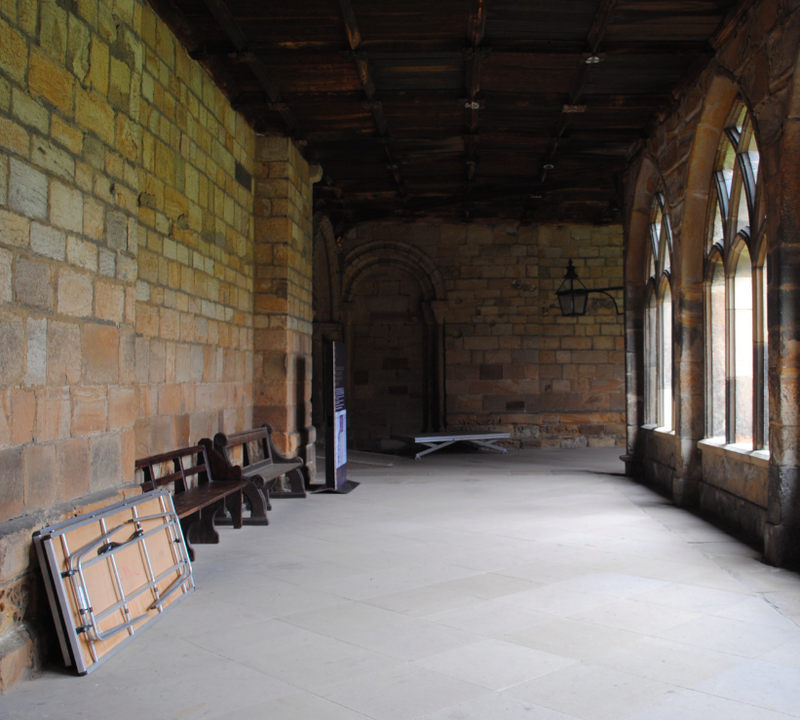 Benedictine and Cistercian cloisters were very often majestic in scale compared to those of the Franciscans which were of more modest proportions (Jenner, 1993). Although construction began in 1093, when the cathedral was begun, the buildings contained within the cloister date from the 15th century and later. 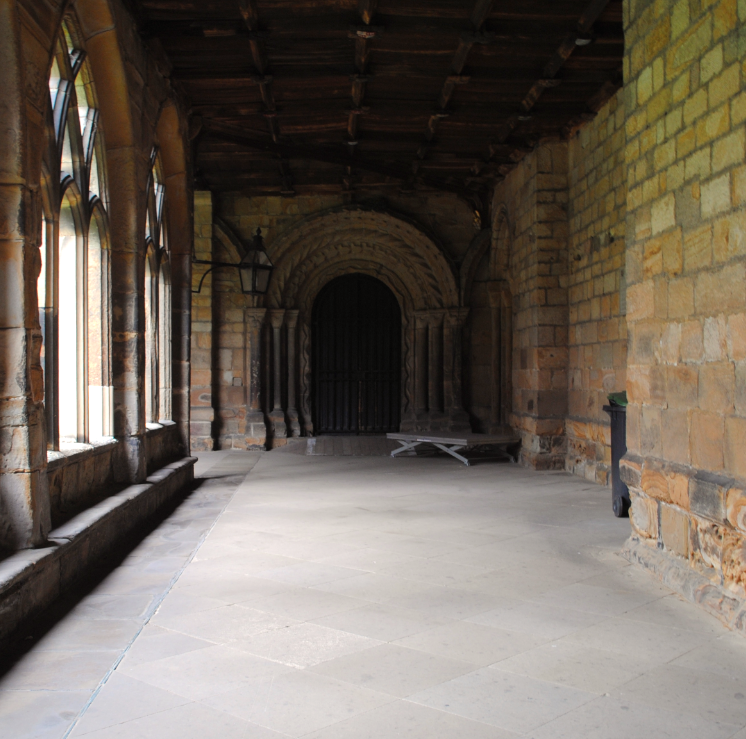 In monastic cathedrals such as Durham, the cloister was at the heart of a complex of buildings which included the chapter house, dormitory and refectory. Once built, a cathedral would have been profusely decorated with stained glass, sculpture and wall paintings (Tatton-Brown, 1989). Window tracery was an exacting task for banker masons with nearly all designs rooted in geometry. At the Reformation, and again during the Cromwellian period, such ornamentation was considered to be heretical and idolatrous resulting in widespread destruction. Clifton-Taylor (1974) describes the destruction of medieval stained glass as “the greatest calamity that has ever befallen English art.” The Dissolution of the Monasteries in the 16th century by Henry VIII was far more than an act of ecclesiastical reform. The period also saw the most radical redistribution of land ownership since the Norman Conquest despite Henry VIII’s principle policy of destroying monastic buildings being motivated by his desire to acquire their valuable fittings (Jenner,1993). As it was not possible to destroy all the hundreds of abbeys, priories and friaries which had been built over so many centuries, thankfully the ruinous beauty and majesty of monastic architecture can still be appreciated. 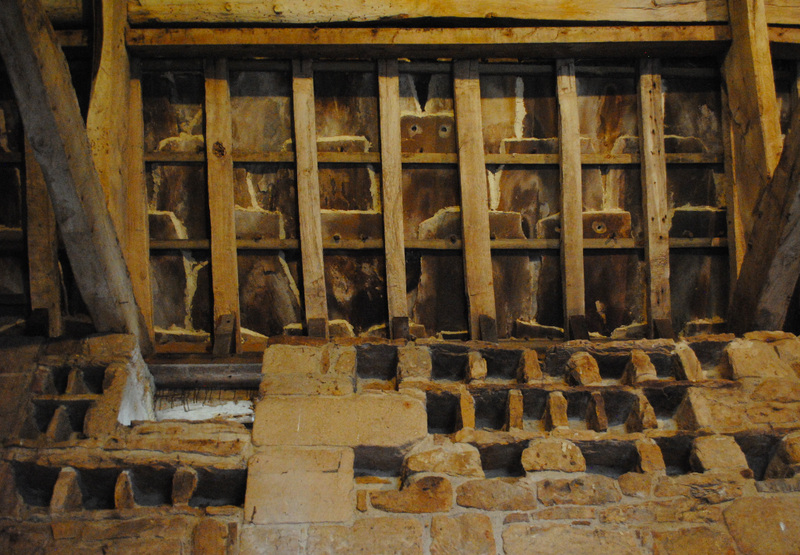 Often covering the intersection of vaulting or a ceiling intersect, roof bosses are a prolific feature at Durham Cathedral. 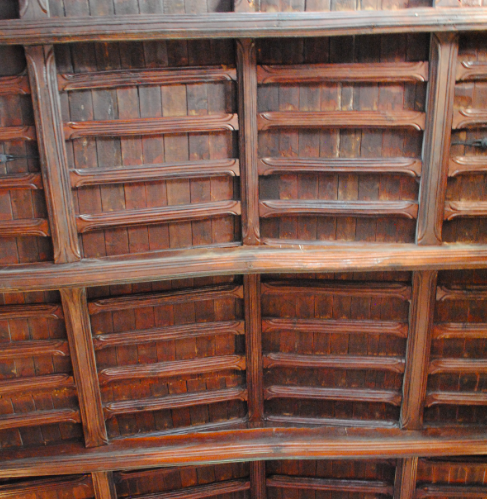 The wooden ceiling above the arcades in the cloister is richly ornamented with these beautiful architectural features which would originally have been brightly coloured. 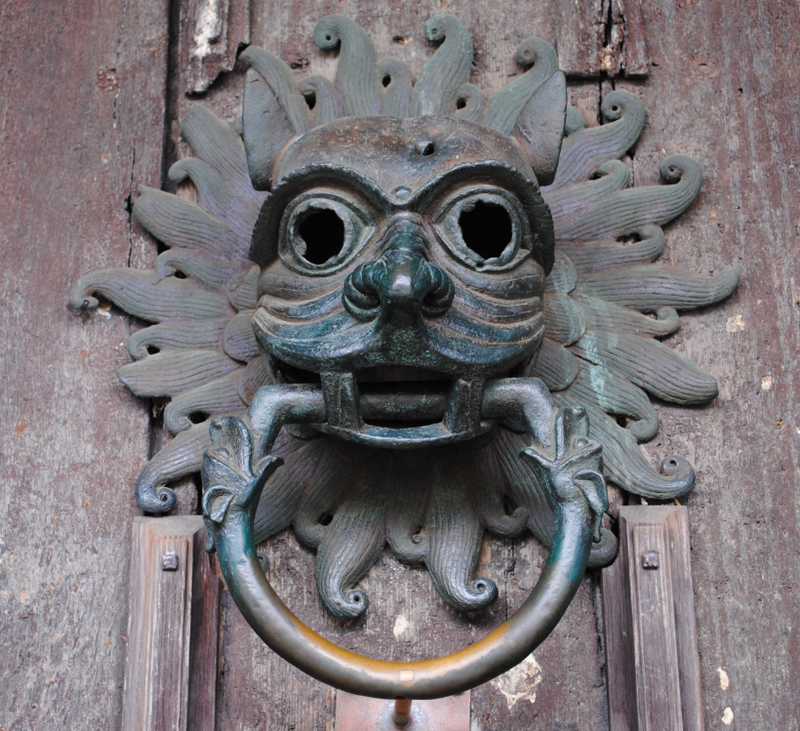 With the advent of Gothic architecture, these decorative bosses became widespread and are often elaborately carved with foliage, heraldic shields, animals and grotesques. 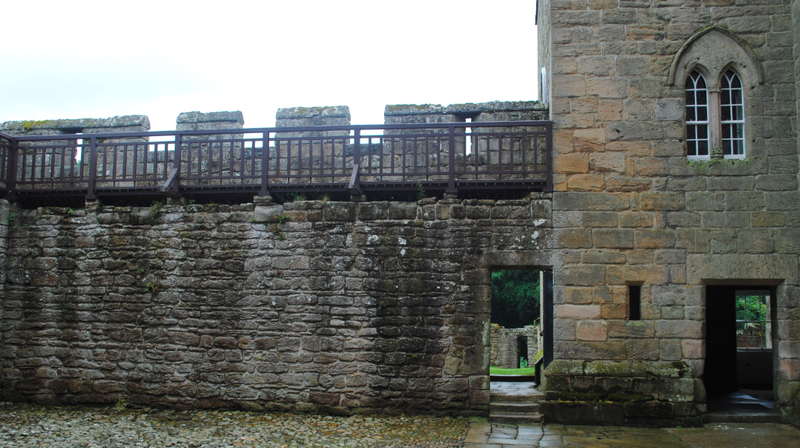 Not only was their purpose to cover a joint, in stone or wood, the boss could be applied when the structure was complete or be an integral part of the structure. The bosses, capitals and ornamentation surrounding windows was the responsibility of the carver who was usually trained in a masons’ yard (Clifton-Taylor, 1983). 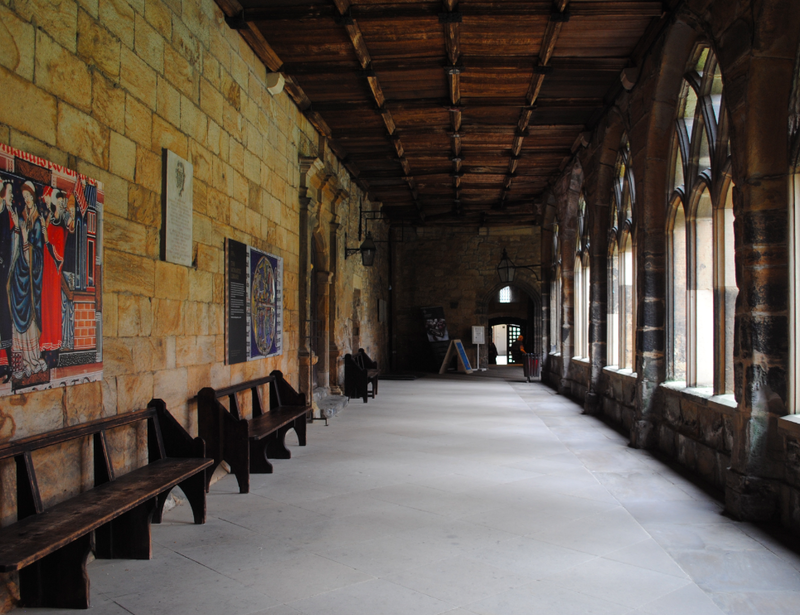 Several wooden benches are all that now furnish the cloister yet walking along the arcades and looking out onto the grass courtyard, there’s an ambience that takes you back to the hustle and bustle of times long since passed. Durham Cathedral is a UNESCO World Heritage Site and Grade I Listed. 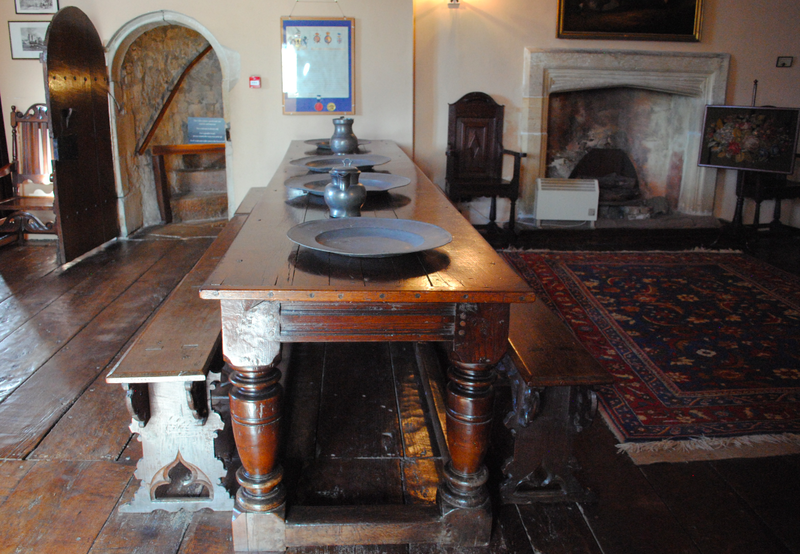 On the second floor of the tower at Sizergh Castle is the Banqueting Hall. 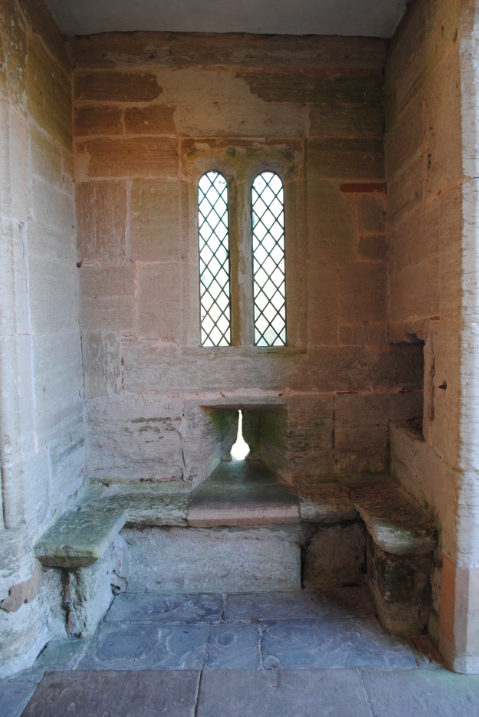 In medieval times, this was the solar chamber and is entered from a spiral staircase. 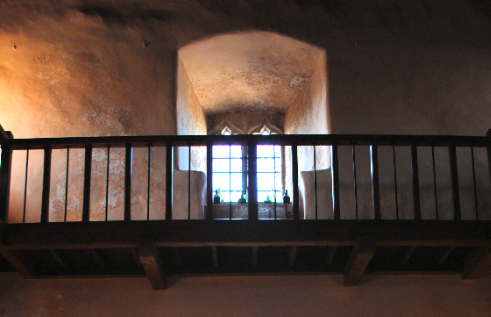 The staircase provided the only access until alterations in the 19th century when a doorway was cut through from the Top Passage. 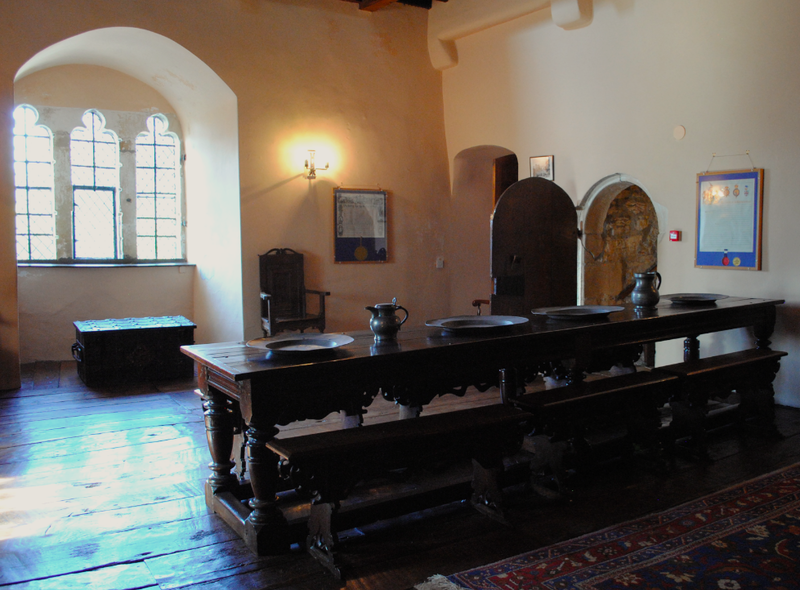 The room is lit by a deep set 14th century three light window which overlooks the courtyard. 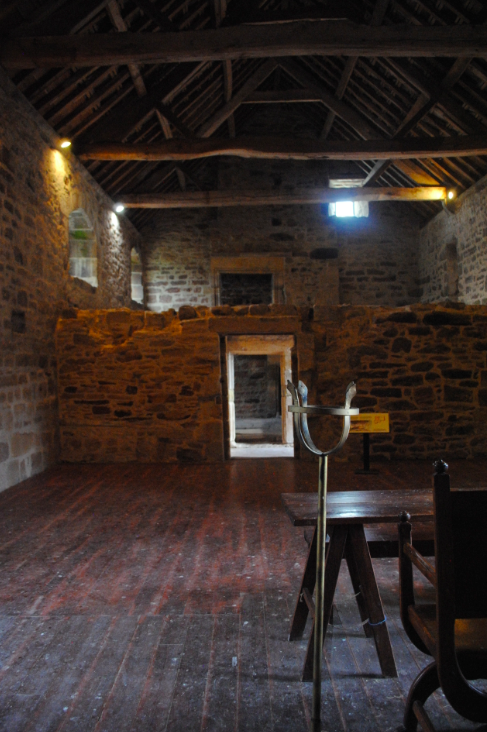 The Hall features a 16th century fireplace and adze-hewn oak floorboards. 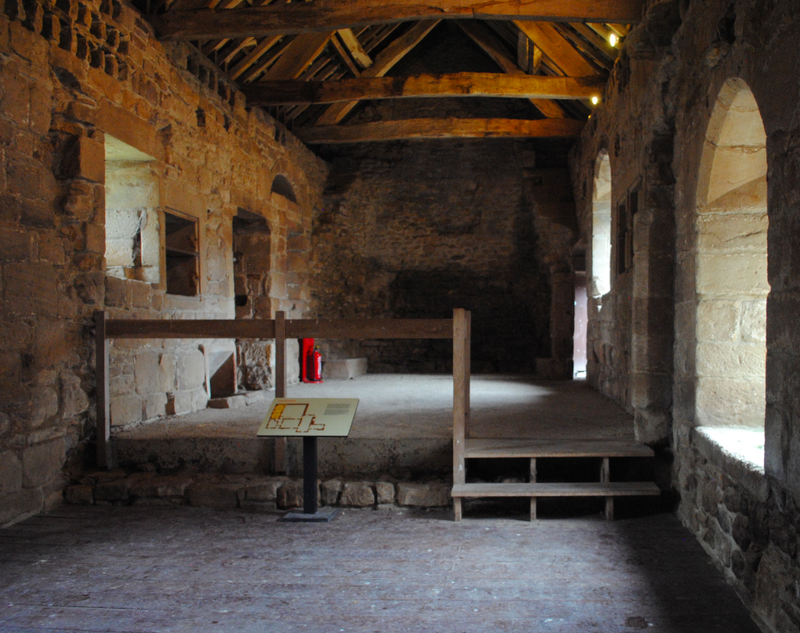 The removal of the floor above was part of the 19th century alterations which were inspired by the fashion for romantic medievalism, creating a highly theatrical interior. 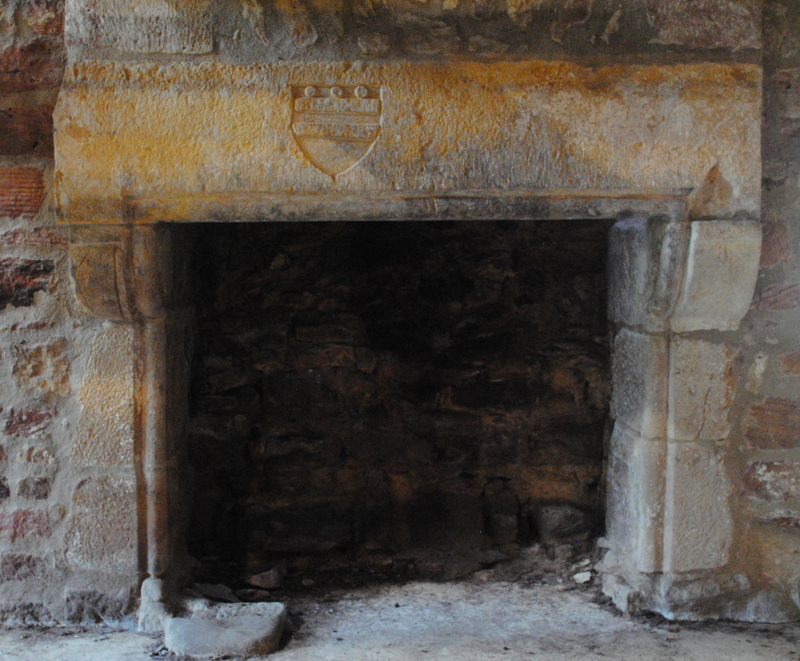 During the late 19th century and early 20th century, the ashlar stonework walls were painted with trompe-l’oeil and hung with armour and trophies of weapons in a true baronial style. 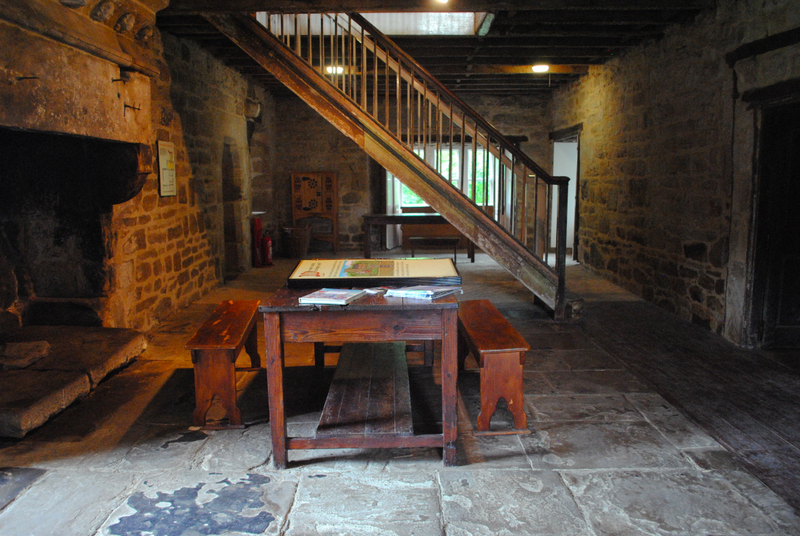 In 1948 Henry Hornyold-Strickland made a gallery (below) around all four sides of the upper storey using timber salvaged from a 16th century barn which had collapsed in 1945. 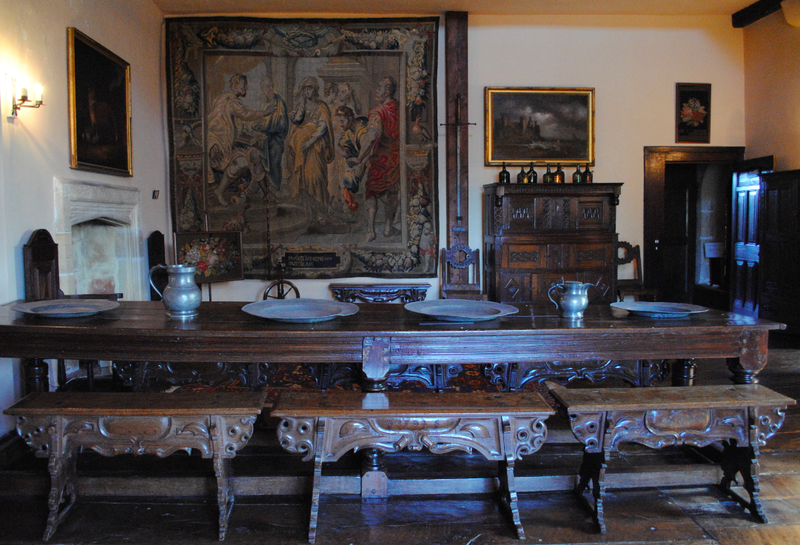 Against the early 17th century long-table are two sets of Elizabethan forms, or benches, the sides of which are carved to imitate loosely the hanging edge of a hide covering. 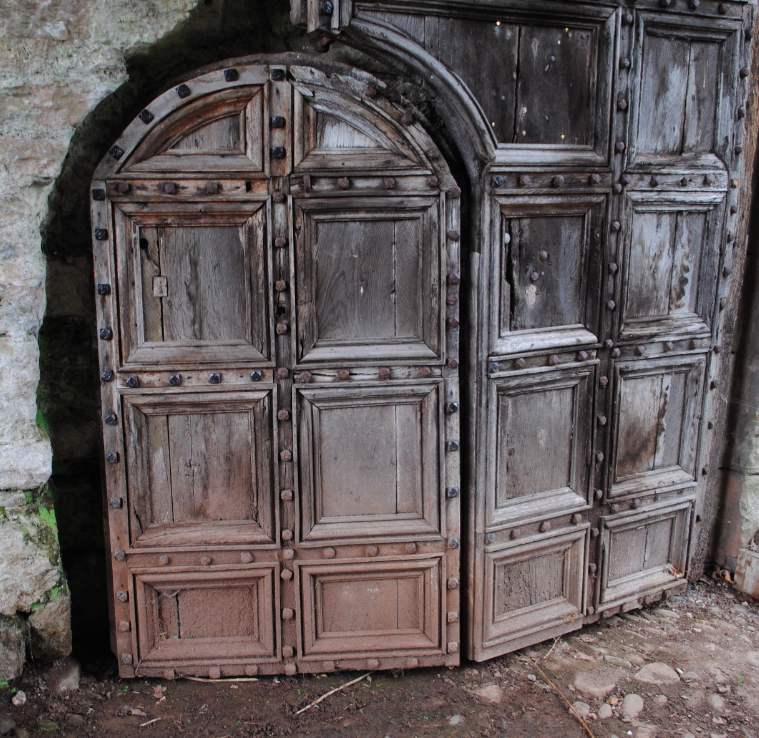 One set (below) has the initials of Walter Strickland and the date 1562 while the other may be slightly later and made to match. Chairs with arms were comparatively rare during the mid 16th century and an inventory dated 1569 records only nine in the whole house. 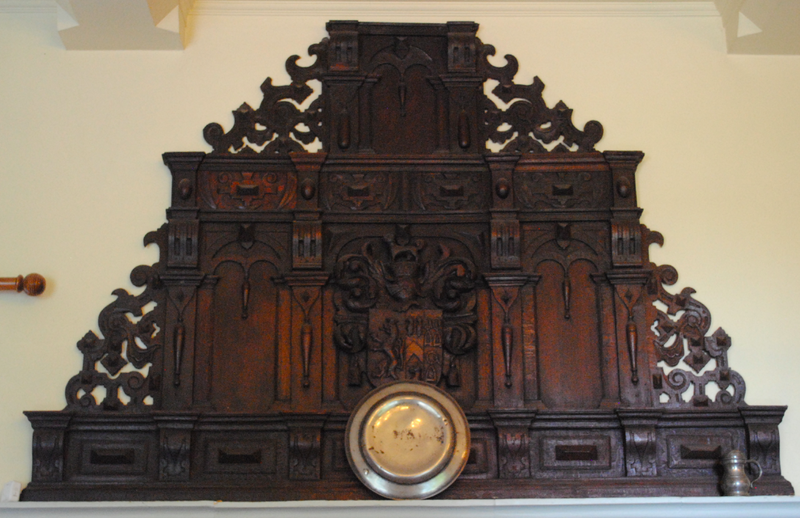 Four panel-back armchairs (as seen next to the fireplace in top photos) with flat topped arms are dated 1570 and 1571 and have lozenge panels which match those in the Old Dining Room. The late 17th century Brussels tapestry (top) portrays the Roman Emperor Marcus Aurelius reproving his wife Faustina for her profligate living. 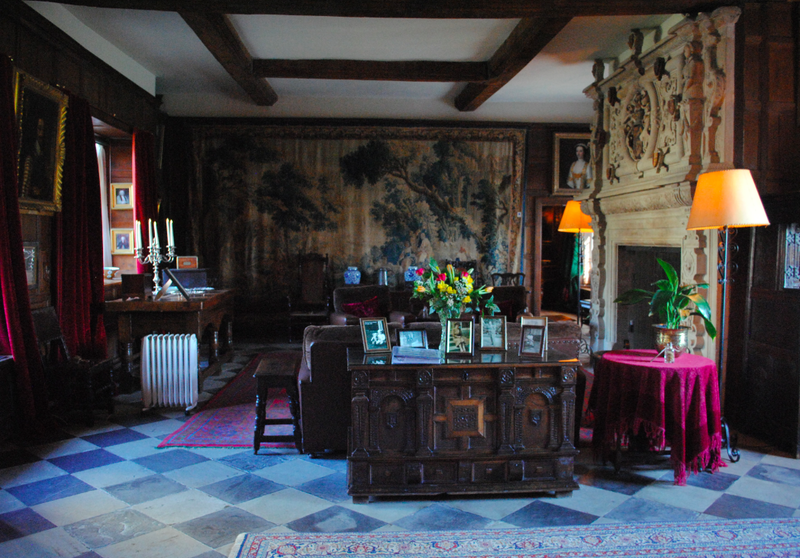 This wonderful room is furnished with beautiful Elizabethan and Georgian pieces that highlight superb craftsmanship. Benthall lies on the right bank of the Severn facing the town of Ironbridge in Shropshire. 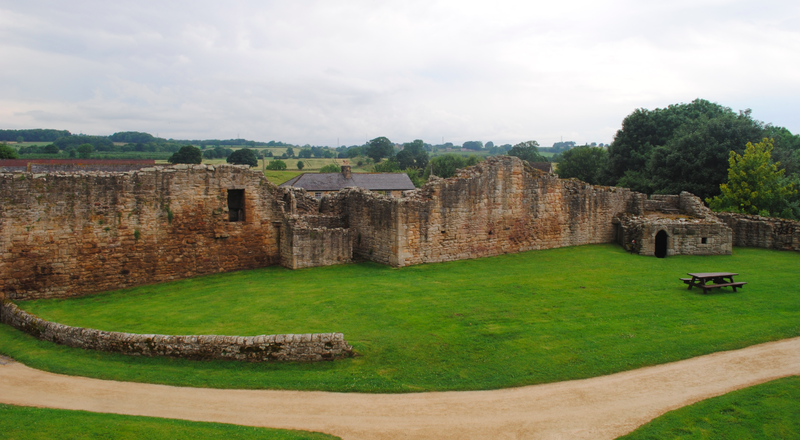 Benthall was recorded in the Domesday Book as belonging to Wenlock Priory and the Benthall family took their name from the place. 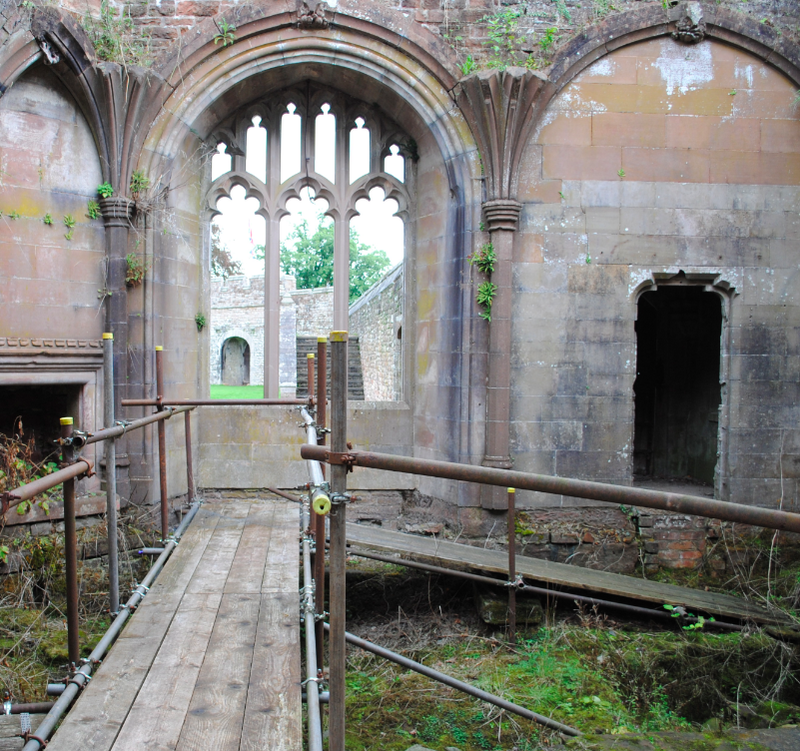 Described as lords of the manor, they held the property from the priory. 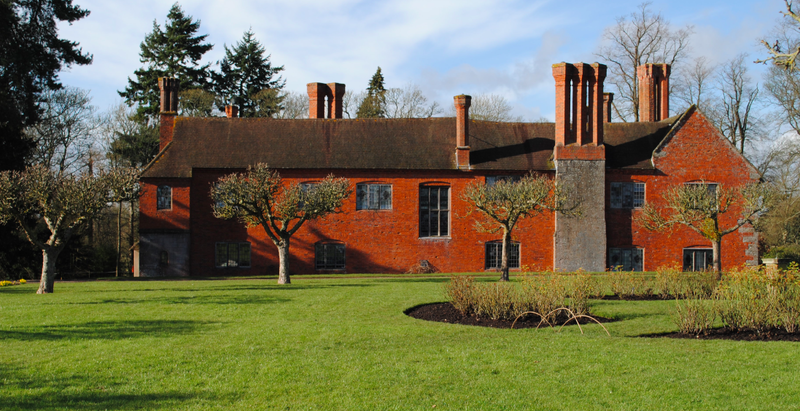 The first record of a house at Benthall dates to 1250 when Philip de Benthall owned land in Benthall Edge. 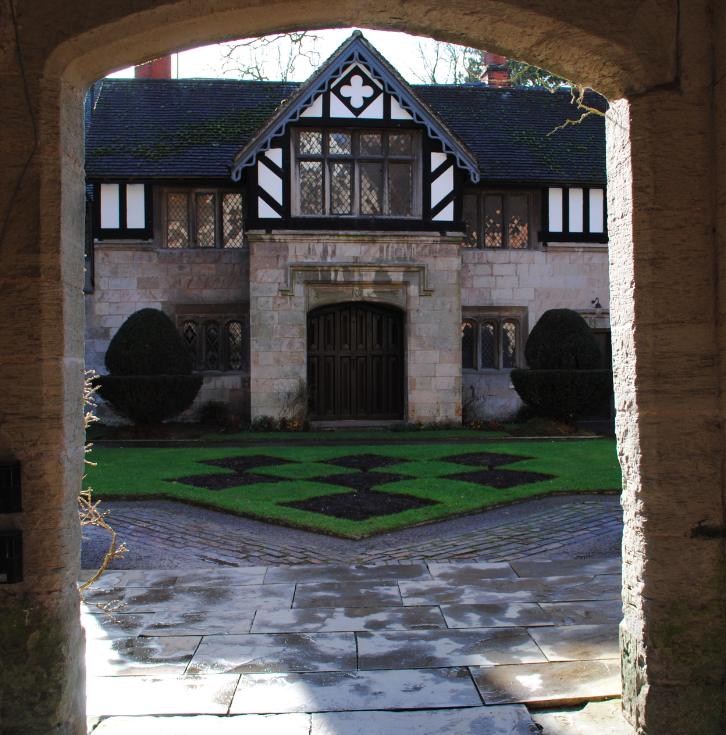 The estate was acquired in 1283 by Robert Burnell, Bishop of Bath and Wells and Lord Chancellor of England. The estate passed from Robert to his elder son Philip and from him the estate descended in the male line to William Benthall. 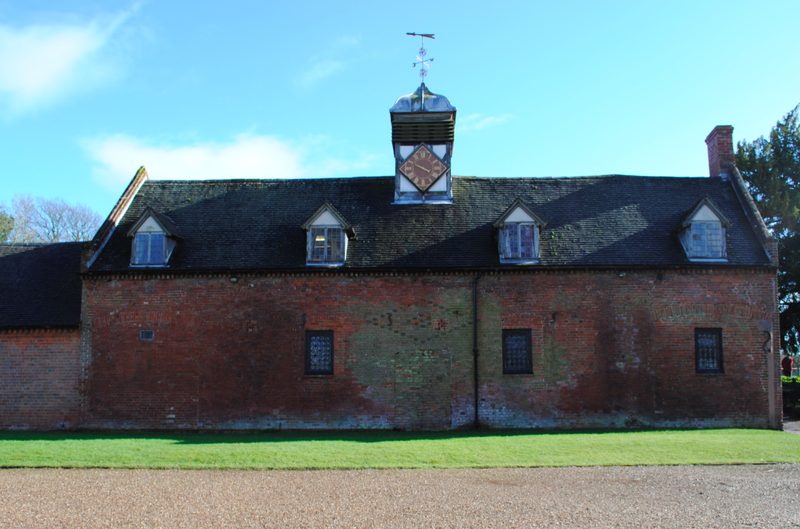 William is believed to have built part of the present house which dates to circa 1535 with later, major improvements around 1580. The two storey building, with attics, is constructed of brick faced sandstone and features continuous mullioned and transomed windows on each level. The building has a central hall, eastern service wing and western parlour wing. 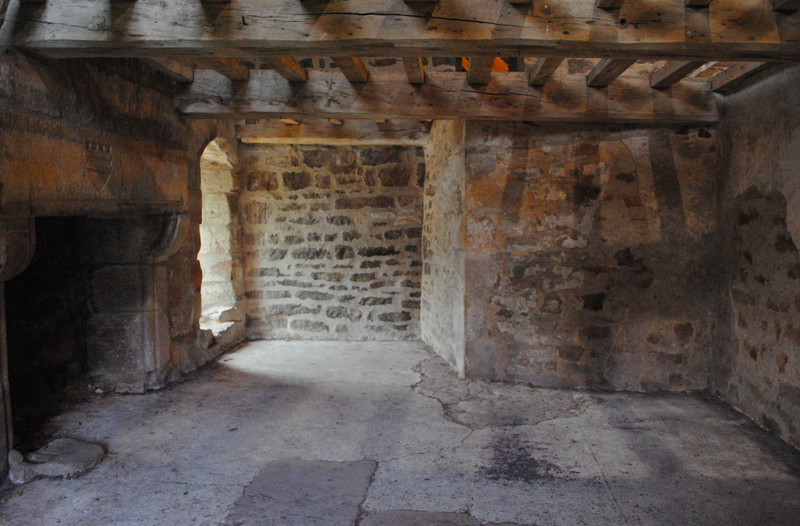 The Hall also has semi-octagonal bays on the west side of the parlour, on the hall and on the service end. 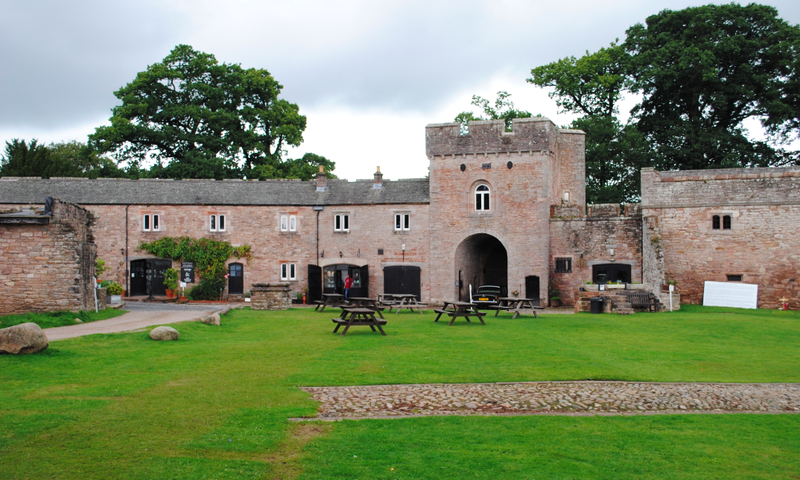 Lawrence Benthall was the owner of the estate in 1642 and he married Katherine Cassy of Whitfield, Gloucestershire. 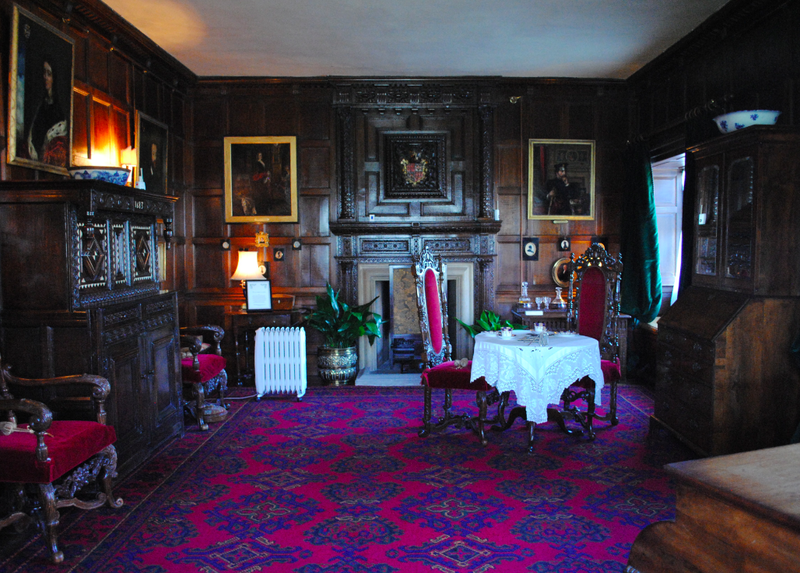 They made many improvements to the interior of the house when the southern rooms were richly panelled and made into additional parlours or bedrooms. 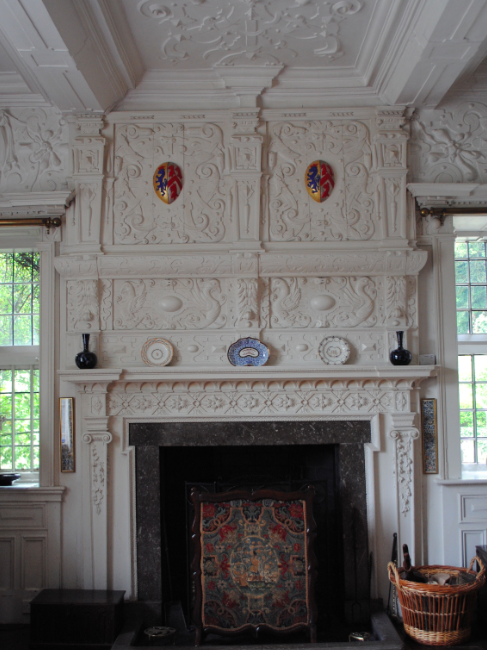 Panelling and a moulded plaster ceiling in the parlour are probably contemporary with a new staircase. 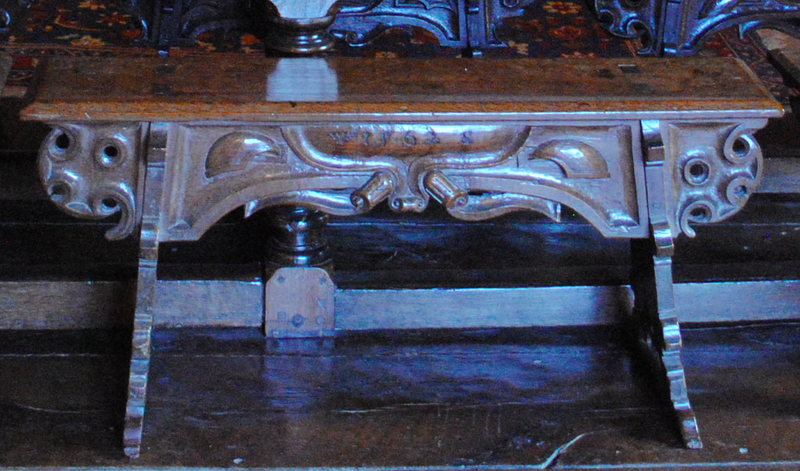 Its older fittings are now of the 18th century and perhaps contemporary with alterations, including new fireplaces in both wings, attributed to T. F. Pritchard. New doorcases at the foot of the staircase and a new ceiling there were probably inserted after a fire in 1818. 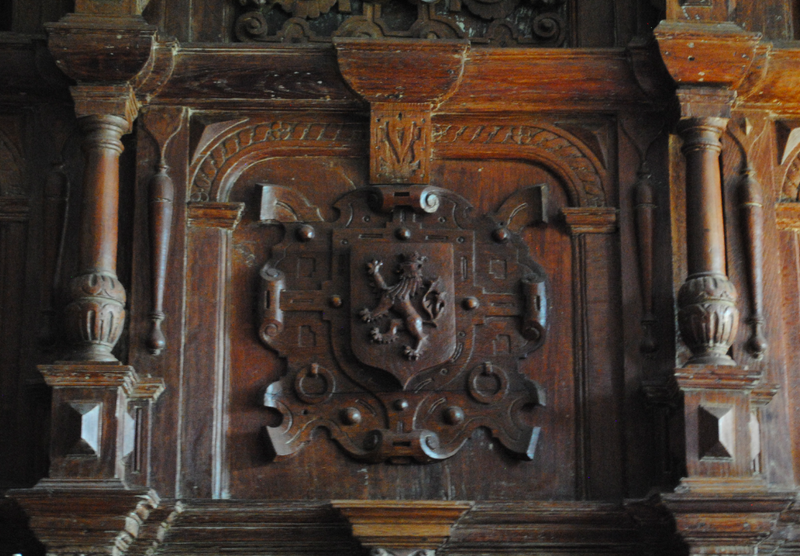 The overmantle in the parlour (below) shows the Benthall and Cassy crest joined together. King Charles I rallied many of the local gentry to his cause when he made Shrewsbury his headquarters on the outbreak of the Civil War. 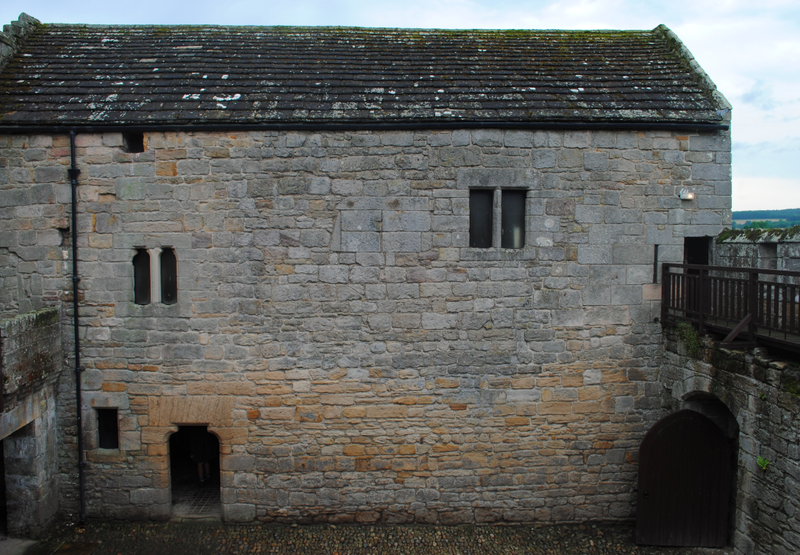 Col. Lawrence Benthall fortified his house for the King, and, in March 1643, commanded the garrison in a successful attack on a Parliamentary plundering party led by Col. Mytton of Wem. 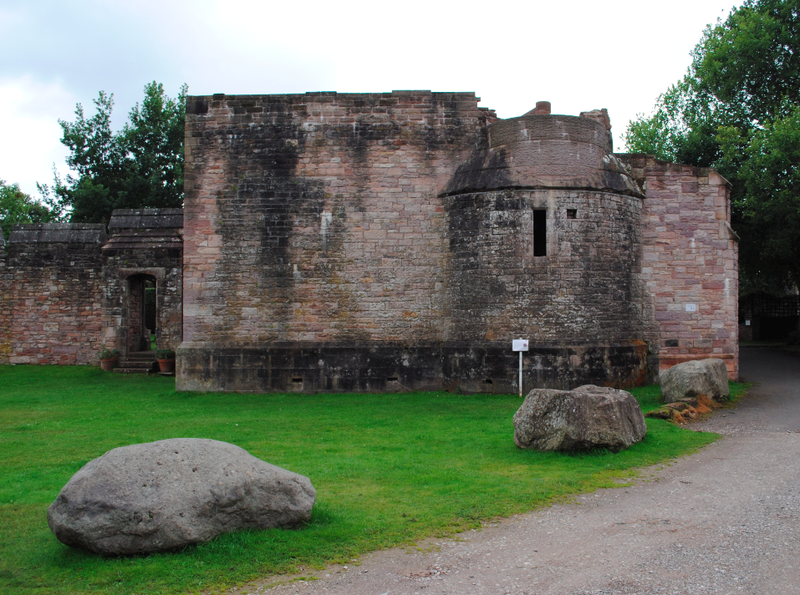 The King’s garrison remained at Benthall for a further two years until February 1645 when the Royalist stronghold of Shrewsbury fell in a surprise attack led by the same Col. Mytton. The surrounding country then came under Parliamentary control and in July of the same year, a Parliamentary garrison occupied Benthall. The neighbourhood of Benthall and Broseley was one of the most important coalfields in the west of England at the time and Benthall was a strategic vantage point from which to command the River Severn. 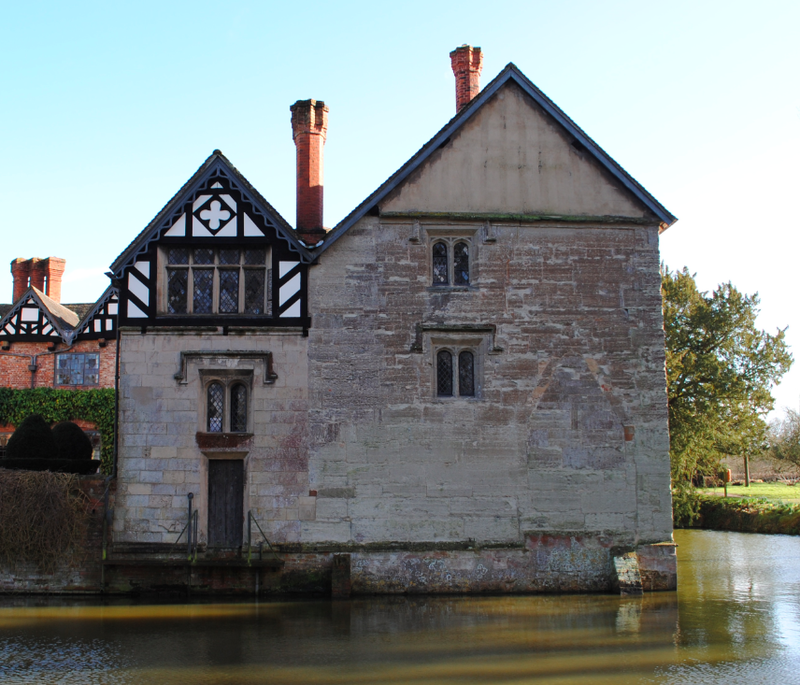 The Parliamentarians used Benthall as a base to control coal to the Royalists at Bridgnorth and Worcester. 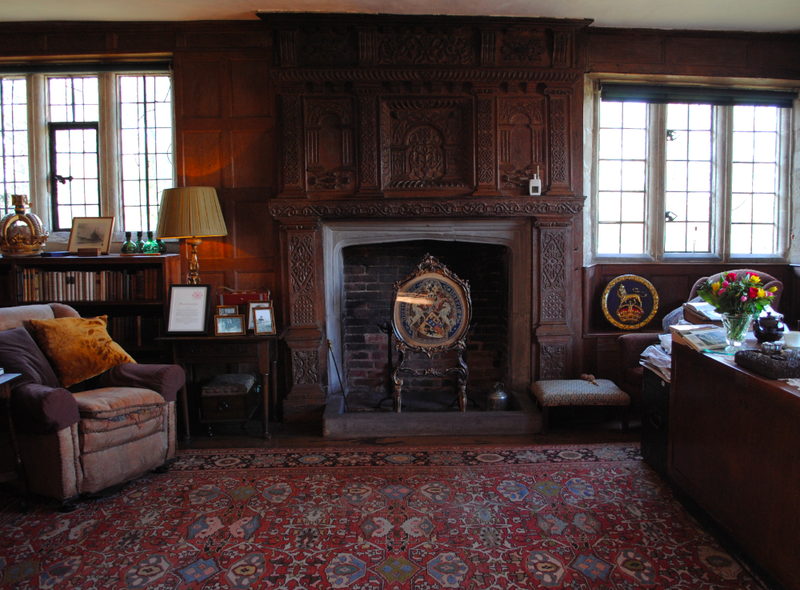 A failed Royalist attack in 1645 led to a window and panelling in the Drawing Room sustaining damage. Lawrence was succeeded by his eldest son Philip who died in 1713. His son Richard died in 1720 with no children but his uncle Edward had a daughter named Katherine. Married to Ralph Browne of Caughley Hall, Katherine had a daughter named Elizabeth whom Richard had settled his estate upon. 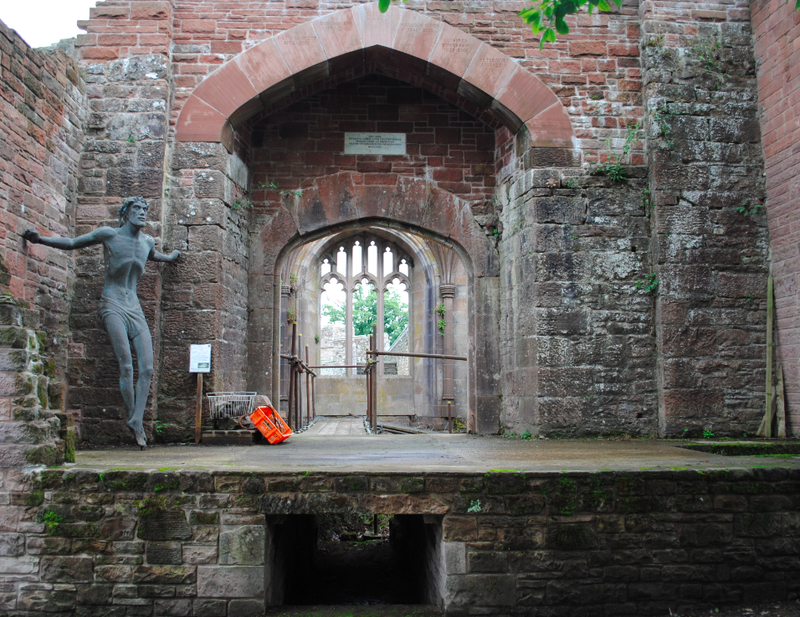 Upon Richard’s death, litigation ensued from his two sisters when they made claim to the estate. The case was decided in favour of the Brownes in 1746 by the House of Lords and it remained in their possession for over a century. 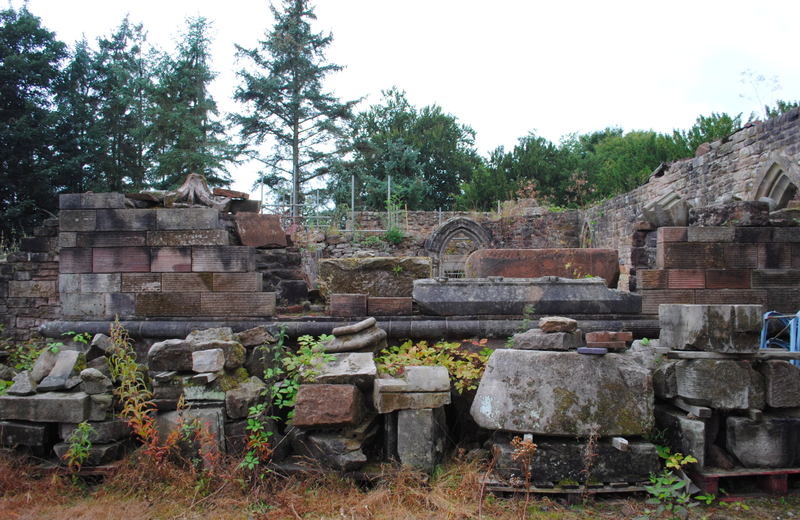 Another Ralph Browne inherited the estate and from him, Benthall passed to his wife’s niece. She married the Rev. 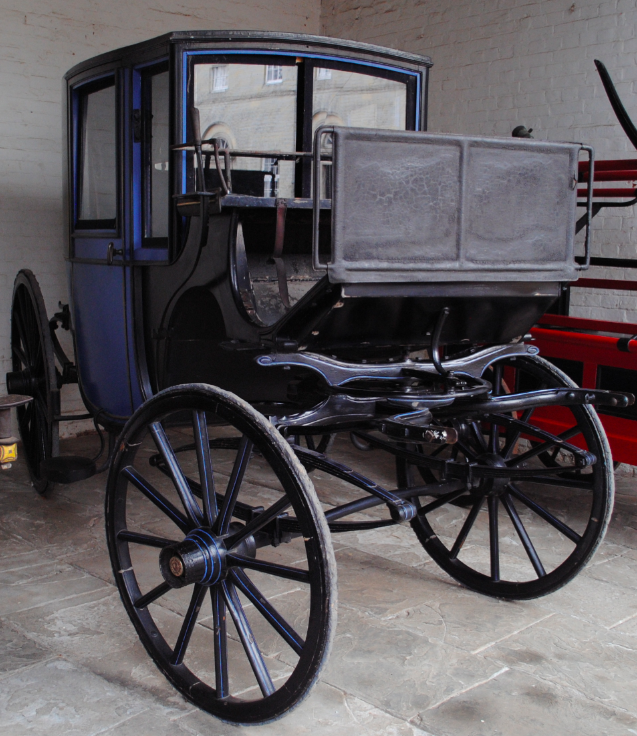 Edward Harries and their son, Francis Blythe Harries, continued to own the estate until 1843. 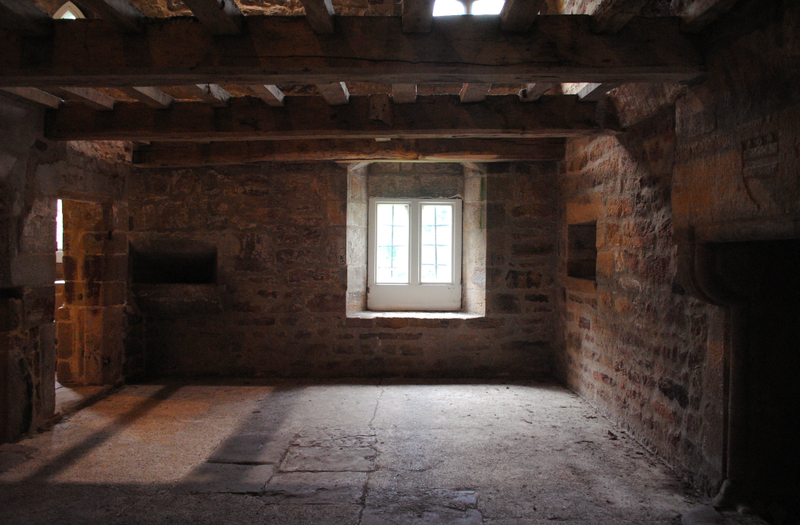 Following the fire of 1818, a new wing containing a large dining room was built at the east end of the house. In 1962 this was demolished except for two rooms in the basement, leaving a raised terrace. The house was sold in 1844 to the 2nd Lord Forester who was the owner of the neighbouring Willey estate. Various tenants occupied Benthall between 1845 and 1930. 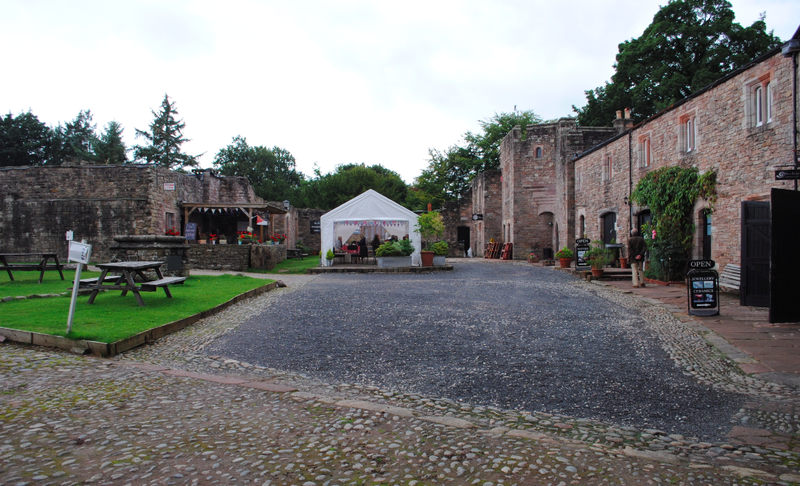 George Maw took up residence in circa 1852 when Maw & Co began to make tiles in the parish. Maw was a distinguished botanist and assembled a collection of rare plants in the garden which included 3-4000 distinct species. In 1866 he published A Monograph of the Genus Crocus. Another notable tenant was Robert Bateman, the son of James Bateman, the creator of Biddulph Grange. 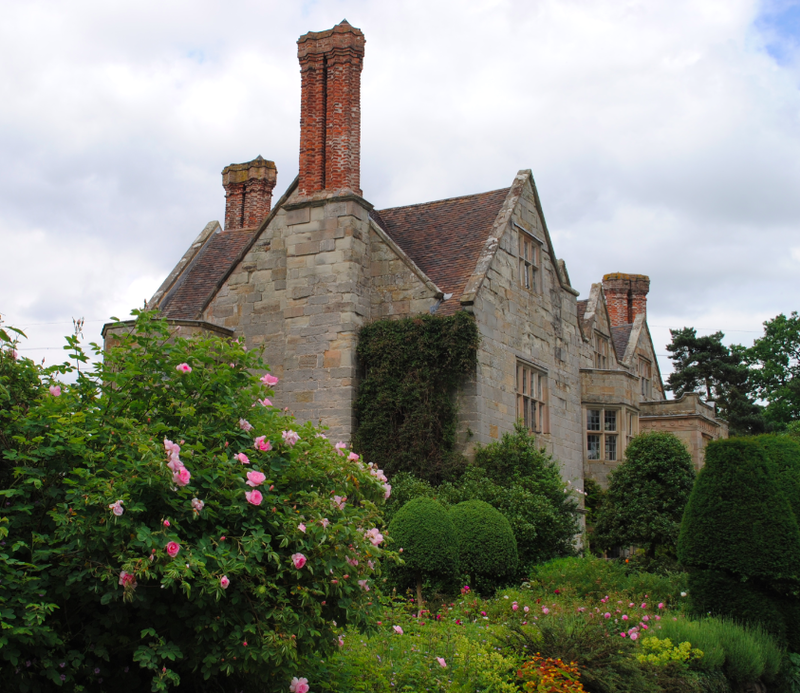 Both Maw and Bateman made changes to the interior of the house and major changes to the garden. 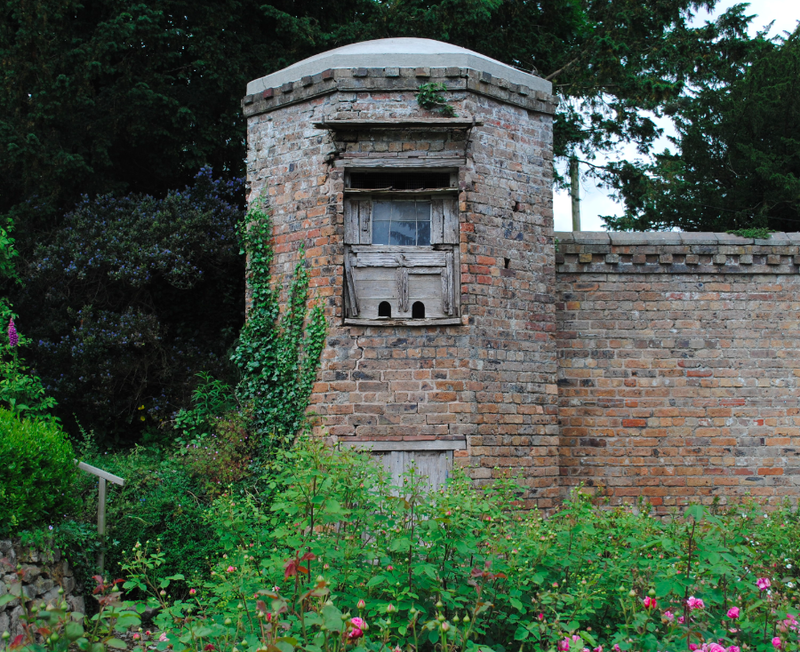 The dovecote in the Rose Garden (above) is attributed to Robert and is thought likely to have been a garden room. Benthall came up for sale at auction in 1934 and Mary Clementina Benthall managed to purchase the house and the estate. In 1958 Mary proposed to leave the estate to her cousin Sir Paul Benthall. 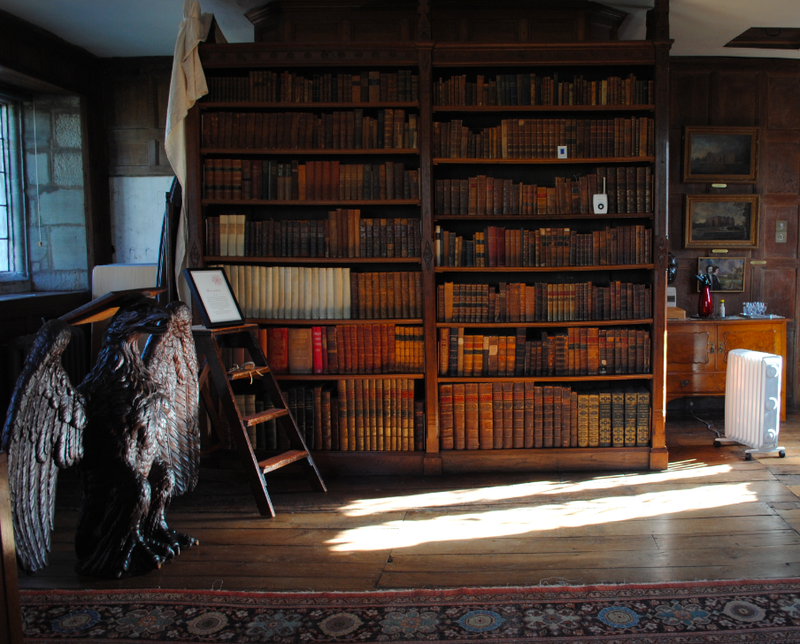 Sir Paul persuaded her to leave it to the National Trust along with some of the contents. 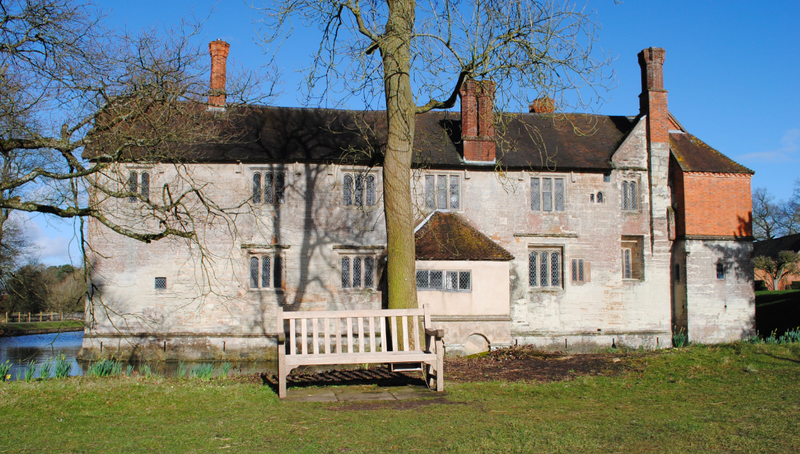 Sir Paul and Lady Benthall became the first tenants of the Trust from 1962 until their deaths in 1992 and 1988 respectively. 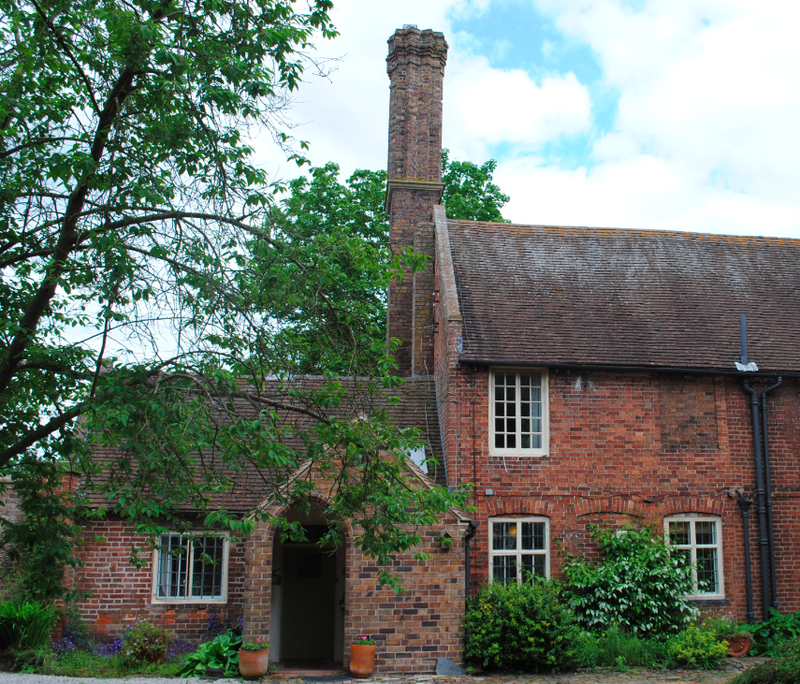 Sir Paul’s son James and his wife Jill then took up the tenancy and in 1996, Richard Benthall, the twin brother of James, took over with his wife Stella until 2004. While grand, the understated exterior of this beautiful property conceals a wonderfully lavish interior that is rich with ornamentation and detail. 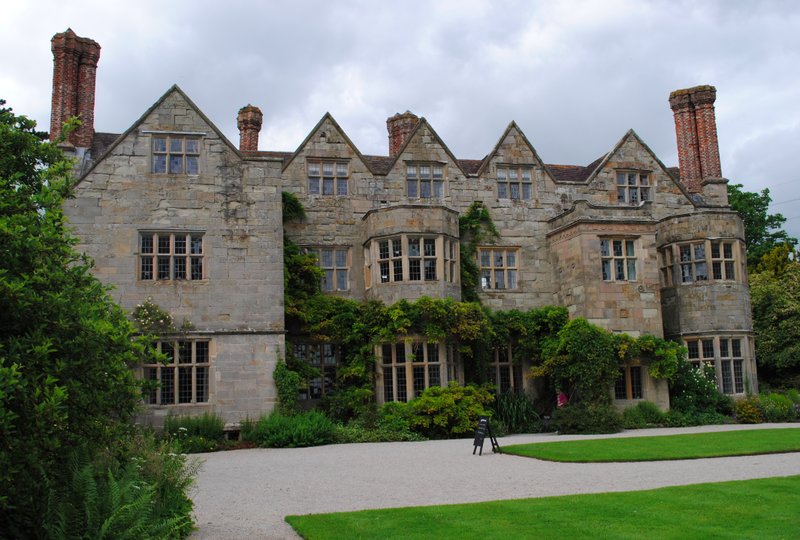 Benthall Hall is Grade I Listed.